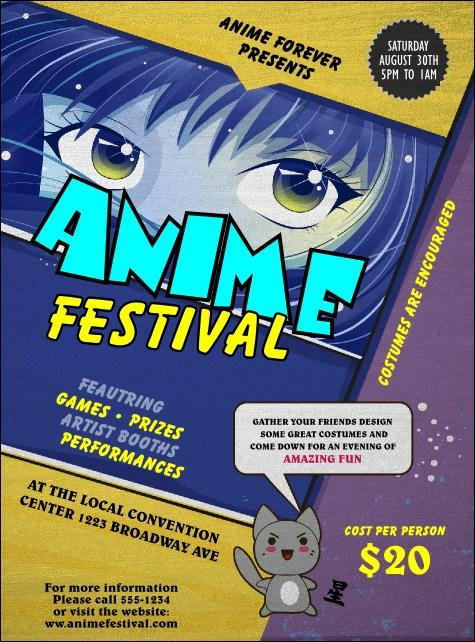 Find new fans for your anime or manga festival when you post the beautiful Anime Flyer in advance. A lovely character's eyes beckon to passers by, with a sweet animal announcing details below. Coordinate your event materials with tickets, posters and invitations in a Matching Event Kit.